This map isn't part of any series, but we have other maps of Pennsylvania that you might want to check out. C.P. 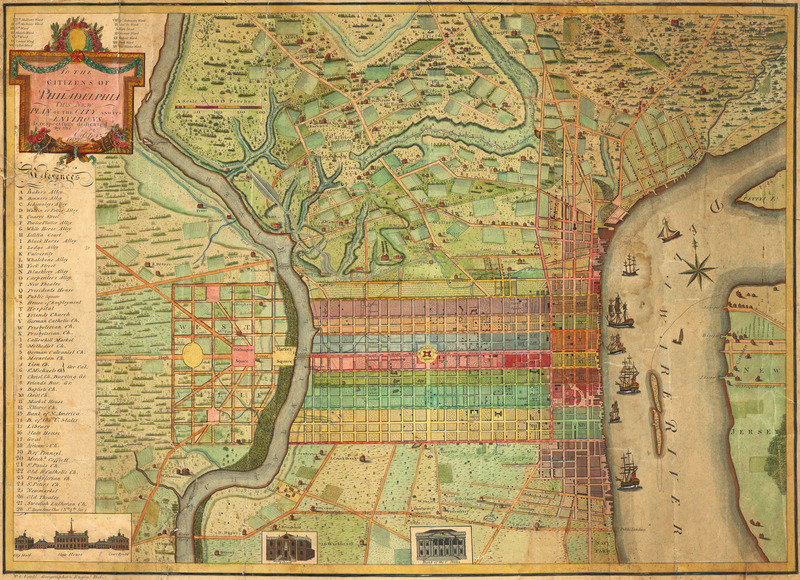 Varle's map of Philadelphia, Pennsylvania [gmap] 1802. The city is shown from the Delaware River to the Schuylkil River with the environs on the north and south. 24 lettered references and 28 numbered references to important places and buildings are below the title and 24 wards are keyed in Roman numbers above the title. Many of the country houses and farms around the city are named, including Penn, Dr. Wistar, and other notable early residents. Three inset views show City Hall, the State House, Court House, Library, and Bank of the United States. The tile is surrounded by a decorative cartouche. The quality of the engraving is superb. Ristow mentions an undated edition that was possibly issued in the year Varle made the surveys, 1796, but more likely in 1802. Any and all additional information/clarification is welcomed. 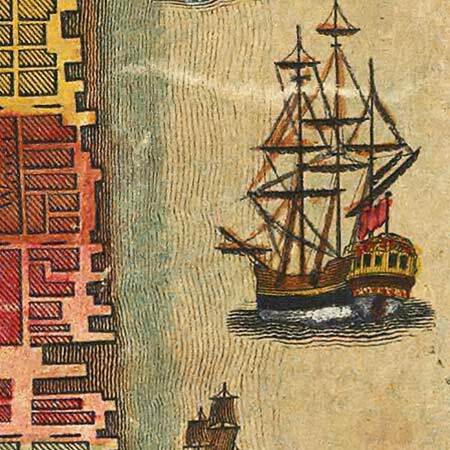 For more map resources and imagery from this period in Philadelphia's history, check out the Historical Society of Pennsylvania's website.